Before The Wave is a design agency, working on a new urban concept to get people moving, call it the Fitometer for a connected world. Bioracer Motion is the new standard in professional cycling analysis. this high-tech innovation is the only system in the world that simultaneously analyzes both sides of the cyclist. This provides a unique insight in one’s cycling movement, symmetry and stability These insights are a prerequisite to create the perfect cycling movement to reach maximum performance and minimize the risk of overuse injuries. Coachbox is a webapplication that helps coaches, trainers and training centers to gain time when planning, analysing and communicating with their athletes and teams. Crowdvid.io enables a highly interactive way of sharing emotions and experiences before, during or after a sports game or event. 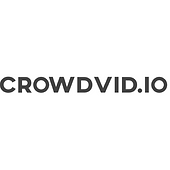 Crowdvid.io offers a complete solution to collect short video clips from your fans mobile devices and enables you to quickly and seamlessly integrate that content on big screens, billboards and social media. Dumble is an online sport network platform for (semi-)professional athletes. We gather all information about results, staff, teams, sponsors, social feeds, … in order to make their lives more easy! 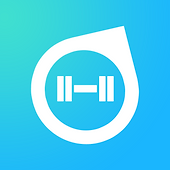 ELCIES is a Lifestyle Cloud Platform for Managing and Monitoring “HEALTH” and “FITNESS” Data. Regardless of brand, type and the number of devices/wearables (blood pressure, sport bands, glucose meter,…etc), ELCIES platform gives individuals and coaches on one place access to all current and historical Health and Fitness data. For groupcoaches/mentors (employees, clients, sport teams..…) to keep members motivated, analyse trends, and give them education and recommendations. Exoligamentz is an innovative sport brace to protect the athlete from traumatic hand and finger injuries. This patent pending type of brace is being developed by student entrepreneur Ashkan M.H. Joshghani in close collaboration with Ghent University – Victoris. 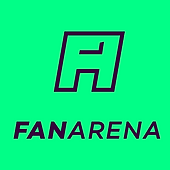 Fan Arena, level-up the way fans experience sports digitally. We use real-time football stats in a fun prediction game you can play with friends. Summer 2016 we launched the first draft fantasy football game in Belgium. Slack for Health & Fitness Professionals. 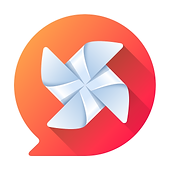 Chat is the best way to bring coaches & clients closer together, so that’s what we’re building. Pre-Launch. YCSS17 (Ycombinator) participant. Looking for iPhone testers. 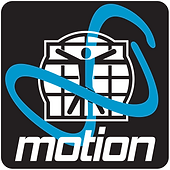 Intelligent motion is a knowledge and treatment center of people who experience pain, fatigue, stress or a reduced performance level, mostly due to limited body mobility. We’ve developed a program to help people with low back pain through an online platform place based and time-dependent in a well-founded way to get started with their problems and prepare them for the challenges of daily life. Klublr is an intuitive, intelligent, easy-to-use and affordable online platform aiming to enable sports groups to focus on what matters most by bringing all the applications and members they need, together in one convenient platform. 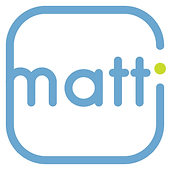 With a touch of Artificial Intelligence: a personal assistant/chatbot for every group. LedsReact was founded by Mathias Segers and Koen Vercauteren in July 2015. Direction, their first product, guides athletes in their training regime and trains reaction speed and coordination skills. In the future, Direction will gather interesting data to further improve athlete´s performance. Both the founders take their knowledge and values with them in the business. They both have a history in sports which gives them the passion they need. gives: a clear view on your progress, customisation to the needs and desires of the patient, extra time for the therapist and, above all, motivation. 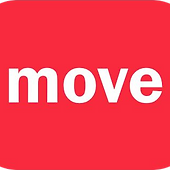 The app that brings sports people together and facilitates them to start moving in group. No more last-minute phone calls to your friends. No more lonely runs. Instead, join or create games and get motivated by others! Sport anytime and anywhere. Together. With Peepl, you can easily manage the members directory, calendar and communication within your association through your personal digital and social platform. This gives you more time for what really counts. Easy, practical and time-saving. Pozyx Labs is a fast-growing startup specializing in precise (indoor) positioning. Our system provides an accuracy of 10cm by using wireless ultra-wideband technology and state-of-the-art algorithms. Pozyx was founded after a successful Kickstarter campaign, and until today we have already sold 6.000 units in over 45 countries with our team of 7. 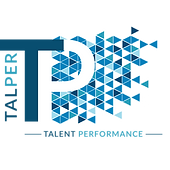 The PT-tool is a software solution covering all aspects of the personal trainer´s job including training programming, online booking, managing payments and administration, communicating with clients, etc. Skill-up is a unique online software package that can be used by coaches and physical therapists to design tailor-made physical exercise and rehabilitation programs for their athletes and patients. Sparkl turns passive sports viewing into active engagement with its cloud based software solution for real-time editing of sports content. SportKompas is a sports orientation tool for kids. Based on Ghent University research, kids between 8 and 10 years old can discover their favorite sports by taking physical tests in combination with on-line applications (e.g. to validate which sports they like the most). Digital tools are used to capture, analyze and visualize field test results, motivation and sports attitude. SportKompas can be implemented in primary schools, city campaigns and sport camps. A second application, SportTalent, can be used in clubs and federations for sport-specific talent identification. Sportr makes it possible to search, discover and experience great workouts in your neighborhood, without commitment to the sports club. With pay-as-you-go passes we make sport-on-demand accessible for everybody. Challenge yourself with new ways to work out and join #teamsportr! Sportyverse is a free SaaS for Sports. It is available as a Mobile App, Desktop App, or as a Responsive Web site. Our product(s) offers a unique experience for each role in the sports community. We are focused on the “Grassroots” sports communities to build and support a large user base. We specialize in creative and digital projects with a strong focus on events. In order to optimize the fans’ experience and monitor all his actions we are equiped with a wide range of high-end tools that monitor and analyse the experience of every fan. We are convinced that in every experience, no matter how small or big it is, the fan should always be in the middle. Our project is to create a fully automated technology to identify and support every kind of talent (in the largest meaning of the word) starting from any type of (sports)video. Using the latest innovative cloud based techniques enabling object identification, accurate positioning, detailed movement and acceleration, tactical pattern recognition combining machine learning and artificial intelligence. Unicyclists are well balanced-people and we are initiating Unicycle cources for them. 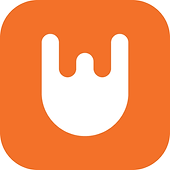 WADO is an app aimed to bringing people together through sports & games. 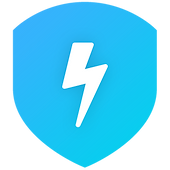 Challenge your friends, choose a sport and location and get a notification when your friend accepts or declines your challenge. Just get out of that chair! We Are The Coach™ enables fans of a soccer team to propose player substitutions during live matches of their team. The votes can be broadcasted live on mobile, tv and stadium screens. Now in demo phase, looking for partners. Welcome to the Roman Theater of the 21st Century :)! Vogo Sport: an application for mobile devices that offers an improved immersive viewing experience of a live sporting event. First V1sion: t-shirts with integrated micro-cameras to offer new audiovisual content. LSee: a device that allows you to analyze your metabolism in real time and adapt your physical effort and nutrition based on small blood samples. SM Genomics: genetic biomarkers that allow athletes to analyze the type of injuries they are prone to, their level of severity and how to prevent them. WeFitter: a wellness platform that promotes, encourages and rewards active and healthy lifestyles.